Renee has worked at St. Francois County Ambulance District for over 10 years. 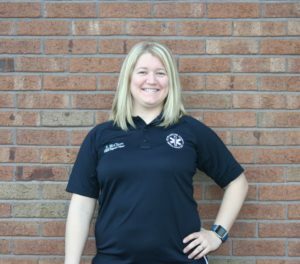 In addition to her career in EMS, Renee also teaches classes at Mineral Area College to aspiring EMTs and Paramedics. Renee’s excellent communication skills, willingness to go above and beyond the call of duty, and can-do attitude, have earned her this nomination for a Stars of Life of Award. Renee’s compassionate and caring behavior make her a widely respected supervisor at St. Francois County Ambulance District.